TOLLAND, CT, Dec 22, 2016 – CNC Software, Inc., has announced the opening of Mastercam India Pvt. Ltd. This new organization is based in Pune, India and shall maintain a presence throughout India, the Middle East, and surrounding regions. 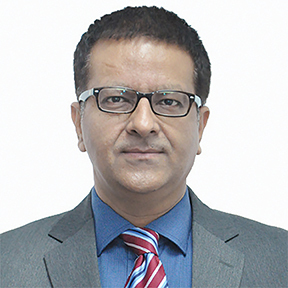 Vineet Seth, the managing director of newly-formed Mastercam India, commented that his new organization is comprised of a highly experienced, well-established team of professionals from sales, marketing, technical, and channel expertise gained in the Indian CAM market over many years. Vineet explains that the addition of his new team would increase Mastercam’s overall staffing levels in India in excess of 100 people, which is a demonstration of CNC Software’s ongoing commitment and investment in this market. “CNC Software is excited about growing the market in India and wants to build on the success we have had over the last 33 years, and continue to be the #1 CAM software in the world,” says Gene Welti, CNC Software, director Asia Pacific Sales. For more information on CNC Software or its range of Mastercam products, please visit www.mastercam.com. This entry was posted in CAD-CAM-CAE, Featured News on December 22, 2016 by Sharmila Guha.